Home > Set design for GALILEO. Design depicts two scenes with burgundy curtains. 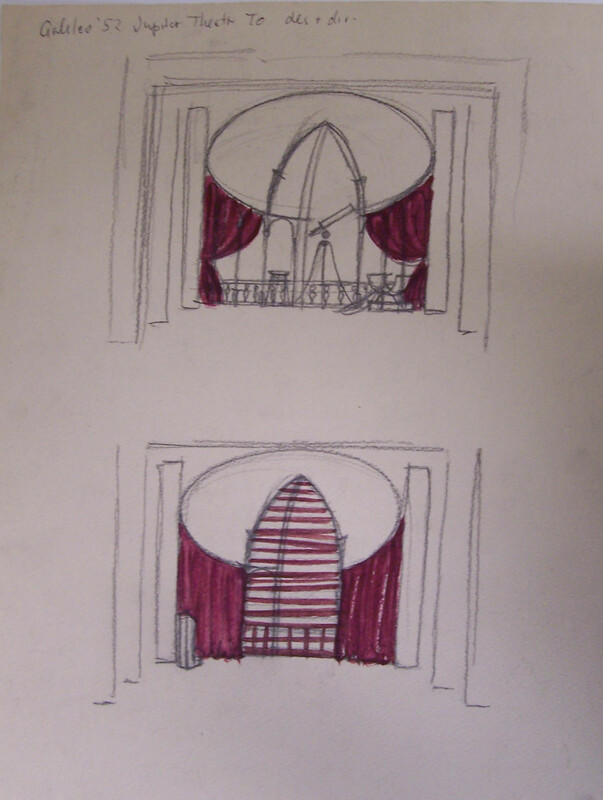 One scene with curtains closed, the other with curtains open to reveal large telescope.